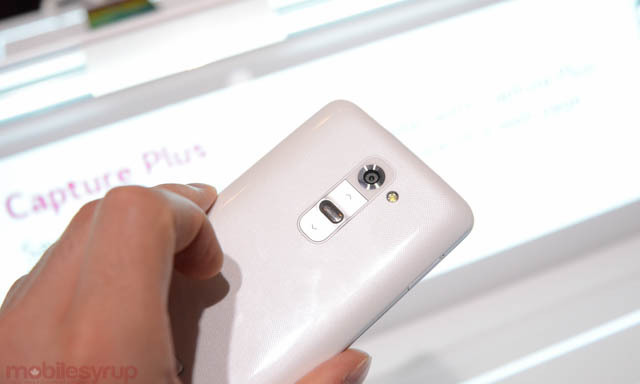 The LG G2 is coming to Canada on September 27th, but Rogers customers will have an exclusive opportunity to purchase the white model. Fans of the shade will have to venture into foreign territory, however, as it will only be sold at certain GLENTEL-owned retailers, including its relationship with Target Mobile. Specific retailers stocking the Rogers-locked white model include WirelessWave, Tbooth Wireless, Wireless etc., and Target Mobile, though expect pricing to be the same $199 as the black model. This isn’t the first time Rogers has opted to offer a specific variant of a phone sold by other carriers; it often offered white models of BlackBerry devices, like the white Bold 9900 and Q10, that other carriers didn’t want.